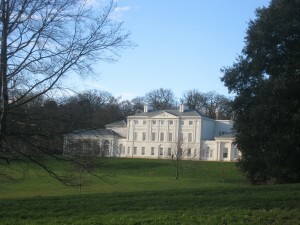 We are not having a meeting in June but are organising a trip to Kenwood House, Hampstead. Or book a place on the minibus we have hired with Audrey ( places still available). NB Places still available.. Total cost will be £10. If after booking you are unable to attend please tell Audrey so that some one else can have your place. Entrance to Odeon Car Park next to Planet Organic at 2.00pm. Note: There is a lift facility at the house we can use and a toilet on the ground floor. Also Kenwood House provides a buggy service to collect visitors from the car park to its main door. Juliet belongs to a professional association of declutterers and organisers but is also a lecturer in the Open University in social sciences with a special interest in motivation. She first took this up when helping her own parents reduce what they had in their home. Juliet does not talk of ‘junk’; she does not urge us to chuck everything away in skips. Her approach is encouraging not ruthless. It is for us to ask – ‘Does it get in my way?’ if the answer is ‘Yes’, that’s clutter. We have things for a reason but things may outlive their purpose. We are parting from things not just throwing away junk. People have different levels of tolerance but that can change with time. People who have not moved much have more clutter. People may embark on decluttering when dealing with a change, such as marital breakdown or bereavement. On bereavement it is better to defer decisions; they are less painful later. Juliet described how she helped one woman tackle her late husband’s wardrobe, and later the woman herself decided that a single item – a pair of his shoes –was all she needed to keep. The same woman went on to coach in decluttering herself. People feel a duty to their belongings and don’t want them to go to waste. But there is a home for everything through recycling, charity shops and Haringey Freecycle. Vinyl records were mentioned; a local Oxfam shop Books and Music takes these and will collect. Older people facing mortality often start to declutter in consideration for their children. Juliet advised to pace oneself, perhaps doing it for half an hour on a routine basis as the process can be exhausting and painful. Perhaps start in the bathroom. Bills and bank documents pile up, but it is best to keep them for 7 years, with specific papers being kept longer. Juliet can recommend a reliable person who charges £6/hr to shred confidential papers. Hoarding is a specific condition needing psychological help. Hoarding is identified when a room cannot be used because of the amount of clutter. Good advice from Juliet – if you have something you do not use you have to ask yourself whether you might ever use it, if not why are you keeping it? Please complete the questionnaire sent with the May notice. The responses will be compiled to help future planning and may help us bid for financial help. NPC (National Pensioners Convention) Pensioners’ Parliament at Blackpool June 17th -19th Barbara Ryan is one delegate, but we can send another member. Let us know if you want to take up this great opportunity! The People’s Assembly : Assemble 1pm at the BBC Headquarters,Portland Place ( nearest tube Oxford Circus) March to palace of Westminster. HPAG Ham & High column. The next one is due on June 26th to be written by Pamela Jefferys. Clear the clutter in your home and your head! The ‘long view’ is a sad story. The NHS began in 1948 as a comprehensive service free at the point of delivery; it was centrally planned and managed. In 1948 it was – and still is – funded through national taxation, but now central control and responsibility is abandoned. Aneurin Bevan nationalised hospitals, with consultants still in charge, but local authorities took over residential care. Primary care was delivered by GPs as private contractors. Free provision has been gradually eroded – some payments are needed for opticians, dentists etc. and we have prescription charges. For older people we regret the loss of Geriatric consultants that monitored care after discharge from hospital. But there have been clinical advances that allow fast recovery from major and minor operations. The % of GDP allocated to the NHS became scandalously low over the years, much lower than in Europe and USA, leading to long waits for treatment. John Major introduced Private Finance Initiatives (PFIs) for new build that proved to be very expensive leaving hospitals in debt. This affected us locally when the collapse of funding delayed the development with shared clinical and social services of HornseyCentralHospital. A clinic without the promised beds & sheltered housing was delivered in 2009 using costly private investment – part of Ara Darzi’s Polyclinic scheme. The dementia day care centre opened the next year part funded by the Lewis and Mary Haynes Trust that had waited patiently for years. The internal market, whereby different parts of the NHS bought and sold services from each other increased overheads. Local management was carried out by Primary Care Trusts (PCTs) with NHS staff who organised and monitored local services. In 1997 Labour raised the NHS budget and reduced waiting lists, but introduced ways of working that fragmented the NHS. PFIs continued and private public partnerships like the Independent Sector Treatment Centres were encouraged. The Commissioning Provider Split was forced on PCTs in 2009, putting potential service providers in competition. Central control and planning was lost, costs increased and staff security threatened. Hospitals were encouraged to become independent businesses – Foundation Trusts. In 2012 the Coalition Government passed the Health & Social Care Act, a total revamp of the NHS. PCTs were abolished, their staff made redundant. Clinical Commissioning Groups of local GPs now commission health services; we have a complex structure of quangos, less public say and opportunities for private providers, many being global companies. On top of this upheaval huge budget cuts of £20bn.are imposed. In order to keep within budget many trusts lay off staff, make bed reductions and sell off property. Rod Wells ‘Haringey Needs St Ann’s Hospital’ St Ann’s is the only hospital in Haringey. 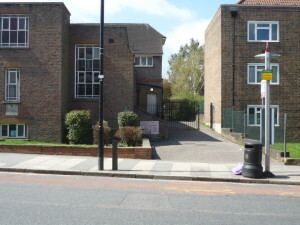 The Barnet Enfield and Haringey Mental Health Trust owns the land and provides mental health services on the site. Trusts providing other health services pay rent to the BEHMHT. After local campaigners objected to mental health in-patient services being run down and transferred to Chase Farm, ward closures were stopped. BEHMHT plans to upgrade wards but claims that this must be funded by the sale of 2/3 of the site to a private developer. Knowing that Haringey suffers serious health inequalities and deprivation, HANSAH wants a ‘needs assessment’ to confirm that the land to be sold is indeed surplus to requirements and demanded that Haringey Public Health conduct this assessment. As this was refused the group are attempting their own assessment. The lack of GP’s is undeniable, made worse by Haringey’s population growing by 10% in ten years. HANSAH is in contact with the Health & Well Being Board but is frustrated that no NHS organisation appears to take responsibility. Rod brought HANSAH leaflets and asked us to sign the petition backing their campaign. 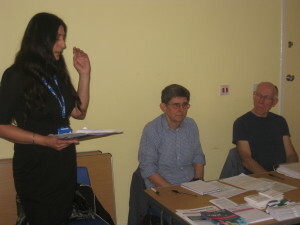 Val Of HealthWatch speaking with chair Clive Evers and Rod Wells of HANSAH to her left. Healthwatch Haringey (HWH) is the independent consumer watchdog set up to collect information and represent the views of the public on health and social care. It exists to give patients, service users and local people an opportunity to influence and challenge decision making about local health and social care services. Mike Wilson the Director spoke at the Dignity Action Day and the NPC Dignity Code is printed in their January/February newsletter. Val is the Administrative Officer employed by Citizen’s Advice Bureau (CAB). She outlined that in response to local comments HWH was attempting to improve: – access to GPs and hospital out-patients, provision for mental health and patient transport. Five new board members had been appointed and HWH is recruiting volunteers to visit surgeries, hospitals etc. Val was asked what powers HWH had and explained that HWH must get a response to any representation. Questions and discussion centred round the interaction between hospital and social services, poor communications, people going to A&E instead of GP, deterioration of premises and staff morale that led to running down of NHS. But the conclusion was that we must be vigilant and guard our services. Rod helped with the raffle and speakers continued to answer questions over refreshments. To book a place on the minibus for the trip to Kenwood on Wednesday June 18th please make it definite by telephoning Audrey Evers at 020 8347 7989. John Boshier has offered to be our tour guide. Sylvia Roberts and Janet Shapiro attended the Greater London Region NPC AGM on March 27th. A Hackney solicitor, Wendy Pettifer, told us about the increasing distress to ordinary people because of cuts to legal aid. The AGM passed motions on important campaigns. Ask if you want details. Age UK Neighbourhoods Connect sessions: Contact 8801 5775. Social Media Drop-Ins –for help with using mobile phones, computers etc. Hornsey Library Fridays 10 am to 12noon, Wood Green Central Library Thursdays 9 to 11am. Caring Connections Groups where you can meet people, chat and reduce loneliness. – Monday from 2.00-4.00 in the Garden Room at North Bank, Muswell Hill Methodist Church, Pages Lane N10 and Monday 11 – 1pm at Trees Extra Care Housing, 2 Broadlands Road, N6 4AN. Saturday 12th April, from 3-4 pm. Listening to music and creative musical composition: the first of a series of fun workshops, run by Julian Silverman. Saturday 26th April, from 3-4 pm. Piano performance by Alex Hall.  Social Lunches – 50+ Community Lunch Club’. Hornsey Vale Community Association, Mayfield Rd, N8. Home made lunch & activities £3 on 1st weds of month. Volunteers welcomed. Also at Jacksons Lane on last Thursday of each month from 11.45am-2.30pm at Jacksons Lane. There is often entertainment. Contact [email protected] or call 020 8347 2411. News Local Barnet councillors and local people continue to challenge the proposed franchise by Post Office Ltd. of the East Finchley Crown Post Office to UOE (UK) Ltd. that plan to put the Post Office counter at a raised level without any consultation with local disability forums. Planning permission is being sought for the new piazza public space in front of the Muswell Hill Odeon and the shopping parade beside it. Find details at www.haringey.gov.uk planning reference HGY/2014/0818. Comments to the Planning Department by April 15th. 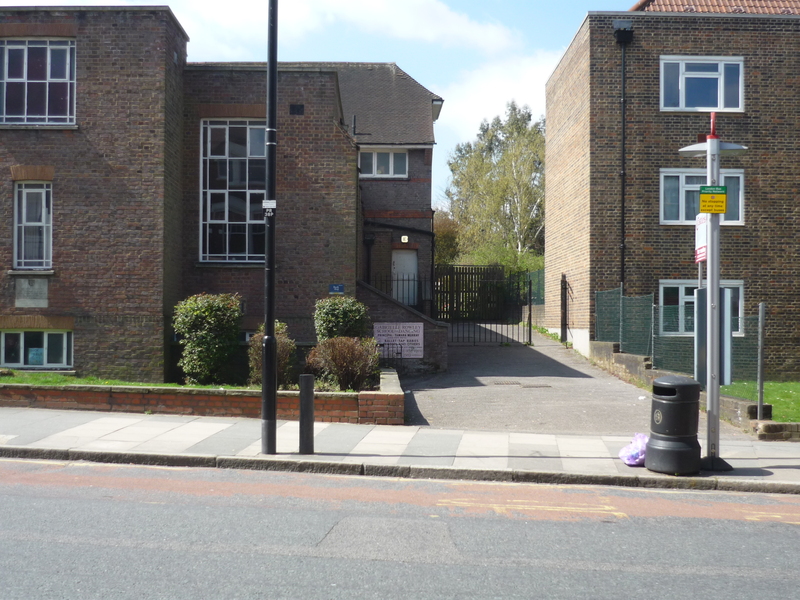 Access for the Marian Centre is through the big metal gates shown on the photograph, behind the bus stop on Park Road for W7 buses towards Muswell Hill. The entrance is by the steps on the right of the building, but a step free access can be found through the second wooden gates around the building.Bus routes nearby: W7, 144, W3. and W5 further along Park Road. March 19th 2014: What future for the NHS? April 16th: What do local council candidates promise us? This will be a meeting on Saturday February 1st at Hornsey Library that will begin in the foyer of Hornsey Library, opened by the Mayor of Haringey, and then proceed to the Gallery for speeches. PS HPAG members will also be helping with a stand to publicise such events at Whittington Hospital on 27th, 28th, 29th and 30th Jan. There will also be an event on 31st at Islington Town Hall.